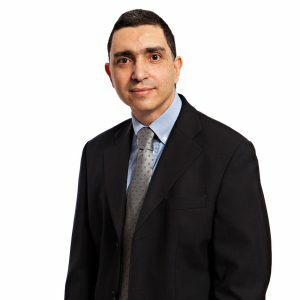 Mr Fabrizio Dionisio is the Acting Divisional Executive of the Research and Technology Development Division at Necsa. He has an MSc in Aeronautical Engineering from the University of the Witwatersrand, Johannesburg, South Africa. In addition to his technical expertise in the Aeronautical and Mechanical engineering fields, he has gained more than 15 years of multidisciplinary experience in Project Management, Business Development, Technology Development, Research and Development, Stakeholder Management, Contract Research Management, and System Engineering. Using multi-disciplinary integration of systems and a proven track record of establishing contract research funding from early technology readiness through to commercialization. Involved in the sourcing and negotiation of multi-year, multi-program funding, comprising of several funding types sourced from public and private sectors. Successfully applying technology and business development methodologies at an organizational level. Within the nuclear environment, he has led as Senior Manager of Contract Research and Senior Executive of Technology Development within the Necsa group, establishing and implementing a technology and system development platform applicable to technology development prospects and projects, this being a prime enabler to contract research and commercialization objectives both internally and externally to the Necsa Group. As head of the Necsa R&D environment, he acted in the position of Divisional Executive leading 150 highly skilled resources from 3 departments (Radiation Science, Applied Chemistry and Radio Chemistry). He was successful in the strategic design and implementation of a reformulated R&D Division refocusing on Research and Technology Development (R&TD), within a period of 8 months. The new R&TD division would be instrumental in the fulfilment of the Necsa technology organization mandate to its full potential as part of a complementing turnaround strategy for the Necsa organization. At Board level within the Necsa Group, he served as a Non-Executive Board Director of the Fluoro-Chemical subsidiary company (Pelchem) for a period of 11 years, gaining valuable experience in Strategic Management, Corporate Governance, Accounting and Auditing. Mr Dionisio has been the author of several technical publications, recipient of numerous technical, technology development and business excellence awards, and has successfully completed numerous courses on project/programme management, quality management, system engineering, human resource management, strategic road mapping and corporate governance.